Looking for IBM Infoprint C2047 Parts? The InfoPrint C2047 printer is an ideal solution for growing businesses because you can produce high-quality, professional output on a variety of media. 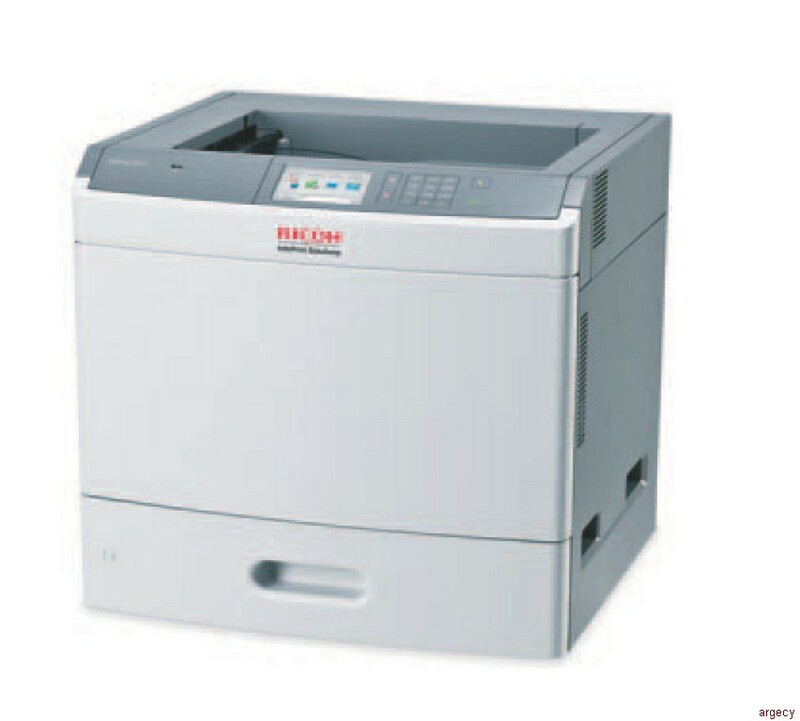 Place this duplex printer on a desk or in a convenient location to support medium to large workgroups. Enjoy large input capacity and aftermarket toner options to lower your cost per page. Print complex color or black-and-white jobs with ease thanks to the 512 megabytes of standard memory. Exact speed varies depending on printer settings, document complexity, system configuration, software application, system environment, driver and printer state. The Image Quality (IQ) or Color Quality (CQ) enhancement, whether 1200, 2400 or 4800, is a special print mode designed to vary the intensity of each individual printed dot by manipulating its size to produce the appearance of greater print resolution within the limitation of a set number of dots per inch (dpi). Printer images may depict the installation of additional feature(s) which are offered at additional charge(s). Leasing Available from $25.40 per month! Please users with a diagonal color touch-sensitive graphical user interface that has 15 hard buttons and one LED. Multiple languages supported. Use this quick link to access controls that help you print more responsibly. For example, reduce energy and use less paper/toner. Discover the communication potential of the color touch screen display. Instead of a standard screen, load a scrolling slideshow that promotes your business or products or communicates important messages to your customers or employees. Allow users to store forms, marketing materials or other documents that they print online frequently. Users can select documents from the touch screen to print. Allow users to change the touch screen background to an image of their choice - or select one of four screens that are preloaded. Connect to the network effortlessly. Enjoy wireless connectivity with the wireless option. Conserve hardware processing overhead when you use the new FlashTM Lite animated video. Print complex jobs easily with 512 megabytes of memory. Scan documents to a USB key using the conveniently located USB port on the front operator panel. Large toner capacity Improve productivity and save money by reducing user interventions. Receive up to 8,000 impressions from the ship-with toner cartridge. Lower total cost of print with aftermarket toner options of up to 20,000 impressions per cartridge 1 . Save time and help prevent unnecessary reprinting. Display contents of a USB/held print job on the control panel for confirmation and review by user. Also allows for job send manipulation and printing of single pages from print jobs. Keep color costs under control by utilizing the coverage estimator, color balance control, color saver, color samples and fine-line enhancement. Improve the quality of images and customize color output. Save money and electricity by placing the printer in a low-power sleep mode. Track -green print behavior with job logs that utilize firmware tracking information for page count, cartridge usage type and count, duplex and n-up. 1. InfoPrint Solutions Company does not recommend printing this monthly maximum on a consistent basis. Supported environments 5 MicrosoftWindowsServer 2008, Server 2008 x64, Server 2003, Server 2003 x64, 7, 7 x64, Vista, Vista x64, XP, XP x64, 2000, Me, 98, NT4, Terminal Services; Citrix MetaFrame; UNIX; Linux; IBM AIXColon Files; Mac OS X; Novell; Other: virtually any platform supporting TCP/IP. Warranty North America: One-year, 9x5 next-day on-site repair (upgrades may be available). For more information, please contact your local InfoPrint representative. Europe, Middle East, Africa: One-year (unless country law dictates otherwise), 9x5 next-day on-site repair (upgrades may be available). For more information, contact your local InfoPrint Representative. 1. Exact speed varies depending on printer settings, document complexity, system configuration, software application, system environment, driver and printer state. 2. Recommended Monthly Page Volume is a range of pages that helps customers evaluate InfoPrint's product offerings based on the average number of pages customers plan to print on the device each month. InfoPrint recommends that the number of pages per month be within the stated range for optimum device performance, based on factors including: supplies replacement intervals, paper loading intervals, speed, and typical customer usage. 3. InfoPrint Solutions Company does not recommend printing this monthly maximum on a consistent basis. 4. The Color Quality (CQ) enhancement, whether 1200, 2400, or 4800 is a special print mode designed to vary the intensity of each individual printed dot by manipulating its size to produce the appearance of greater print resolution within the limitation of a set number of dots per inch (dpi). 5. Not all versions are supported. Contact your sales representative for a detailed list of supported versions. 6. See user documentation for specific media types, weights, and sizes that are supported. 7. Furniture may be required with additional drawers, see www.infoprint.com for additional information. 8. Assumes 5 percent coverage per page. Yields are provided for planning purposes and are not a guarantee of minimum life; actual yields may vary. Actual usage should be used to establish the life of the supply product in each end user's specific application. Many factors, such as print coverage per page, paper type and size, model type and environmental conditions can affect supply life. Declared yield value in accordance with ISO/IEC 19798. * These numbers reflect an approximate average yield that has been established for each supply item indicated based on 5% coverage. Photoconductor yield is based on approximately 6 pages per job. These yields are not a guarantee of minimum life and are not covered under warranty, but are provided to assist in supplies planning. Actual usage should be used to establish the life of the supply product in each end user's specific application. Many factors, such as print coverage per page, paper type and size, model type and environmental conditions can affect supply life. Declared value in accordance with ISO/IEC 19752 (mono) or ISO/IEC 19798 (color). ** (39V4364) All maintenance supplies are customer installable. Installation services are available at InfoPrint Solutions Company's current billable service rate for this product, with a one-hour minimum. The maintenance kits must be purchased separately by the customer before contacting InfoPrint Solutions for installation. ** (39V4363) All maintenance supplies are customer installable. Installation services are available at InfoPrint Solutions Company's current billable service rate for this product, with a one-hour minimum. The maintenance kits must be purchased separately by the customer before contacting InfoPrint Solutions for installation. ** (39V4362) All maintenance supplies are customer installable. Installation services are available at InfoPrint Solutions Company's current billable service rate for this product, with a one-hour minimum. The maintenance kits must be purchased separately by the customer before contacting InfoPrint Solutions for installation.